Steps from the Clubhouse, an infinity-edge pool is equipped with loungers for basking, half submerged in the freshwater. 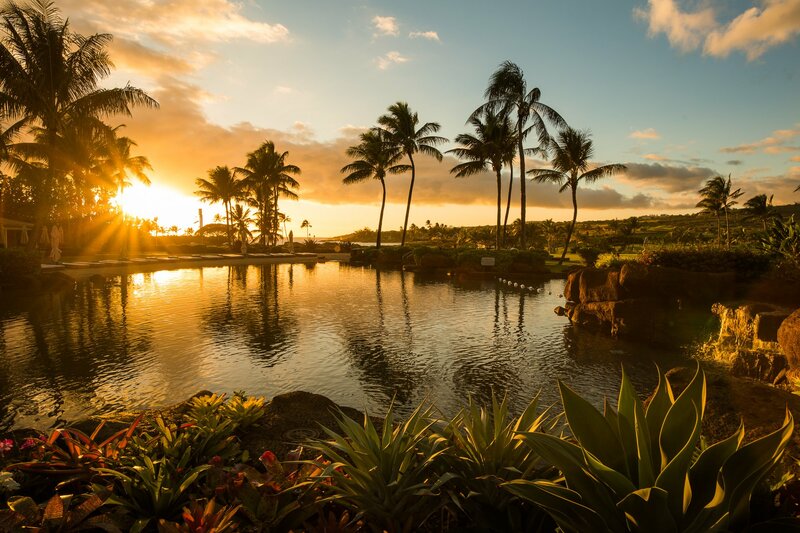 Adjacent saltwater pools flow together connected by cascading waterfalls and a waterslide, beloved by Kukui`ula’s keiki, that leads to the sand-bottom pool lapping the shores of a manmade beach. The expansive Makai Pools provide countless unique and idyllic spots for sun bathing with a cold, tropical drink in hand.